Mark your calendars—set your DVR's! Marcia Clark is hosting a new show on A&E, a spinoff of the popular, long-running series, "The First 48." The title of the show is "The First 48: Marcia Clark Investigates." In each two-hour episode, Marcia re-investigates notorious cases, such as Casey Anthony, Robert Blake, Chandra Levy and Drew Peterson. Cases we all thought we knew so well. But this show will reveal important new information, the kind of information you only find when you take a closer look. Please send all questions about the show or its podcast to marciaclarkpodcast@aenetworks.com. and a murder mystery—but she's also a terrific writer and storyteller." New updated edition in hardcover, paperback, and ebook available! Without a Doubt is not just a book about a trial. It's a book about a woman. 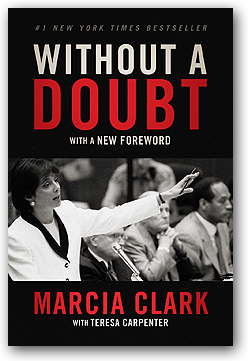 Marcia Clark takes us inside her head and her heart with a story that is both sweeping and deeply personal—and shocking in its honesty. Her voice is raw, disarming, unmistakable. 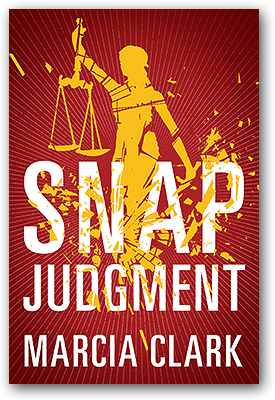 Sparing no one in this unflinching account—least of all herself—Clark speaks frankly about the mesmerizing and controversial personalities in the Simpson case. Site design © & maintenance by xuni.com. All content © 2011-2019, Marcia Clark.